What effect does Brexit have on asylum issues? 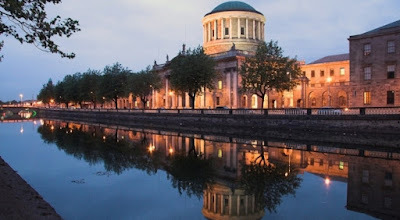 That was one of the issues in a recent judgment of the CJEU, responding to a request from the Irish High Court which apparently affected a number of cases pending in Ireland. The judgment further addressed issues relating to the rights of child asylum-seekers, and the degree of discretion a Member State has under the EU’s Dublin rules on allocation of responsibility for considering asylum applications. Finally, it should be recalled that the 2016 proposal to redraft the Dublin rules in light of the perceived ‘refugee crisis’ (discussed here) would drastically curtail use of the sovereignty clause, in order to prevent further decisions to take responsibility for large numbers of asylum-seekers (such as the German government’s decision in 2015), due to the consequential impact of such decisions on other Member States. It remains to be seen whether that proposal can be agreed at all – and if so, whether Member States would be willing to give up the considerable freedom of action which the clause gives them.